Designed with proprietary hair loss-fighting technology, this unique treatment spray creates an optimal foundation for healthy hair growth while delivering visible fullness from root to tip. It targets the causes of thinning and shedding at the source by invigorating the scalp and fighting inflammation. Hair instantly looks thicker and acts stronger and more resilient over time. 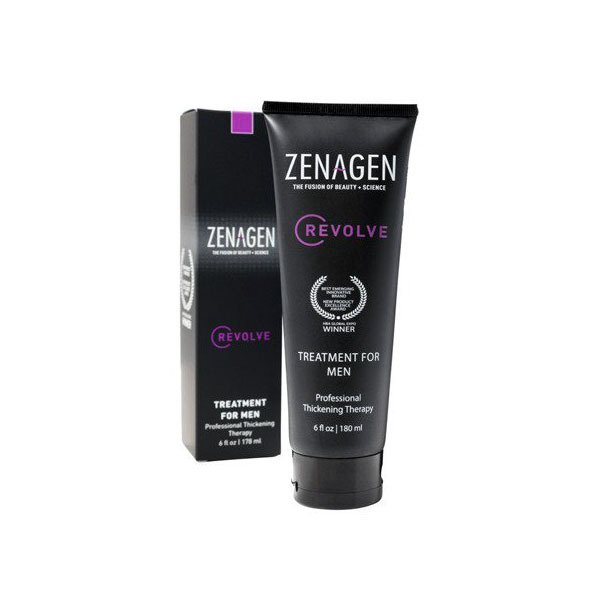 The second step in the Zenagen Evolve system, Zenagen Evolve Conditioner is a unisex product designed to reduce shedding, increase hair density and volume while maximizing shine and manageability. 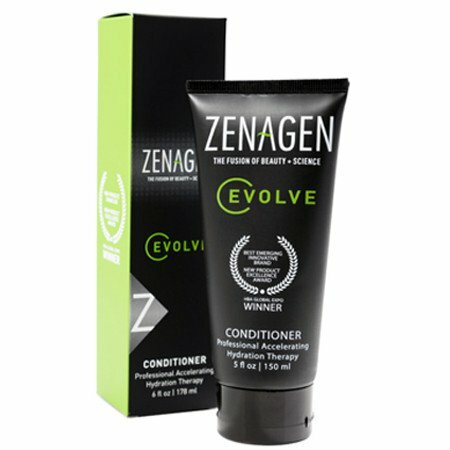 Conditioning is recommended after each Zenagen Evolve Treatment application. 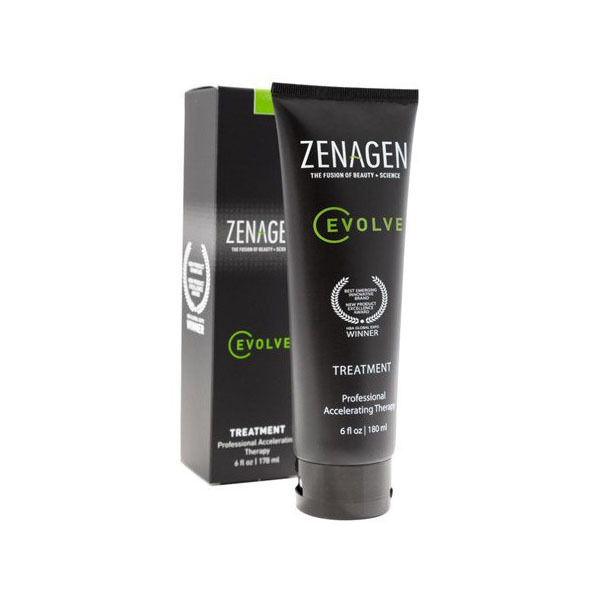 Zenagen Evolve Treatment is a unisex shampoo-based hair therapy system that accelerates hair growth up to 40% and repairs dry, brittle and broken follicles from root to tip with five-minute treatments every other day. The healing properties of this all-natural formula enhance strength, shine and volume of hair damaged by excessive heat styling, coloring or chemical treatments. 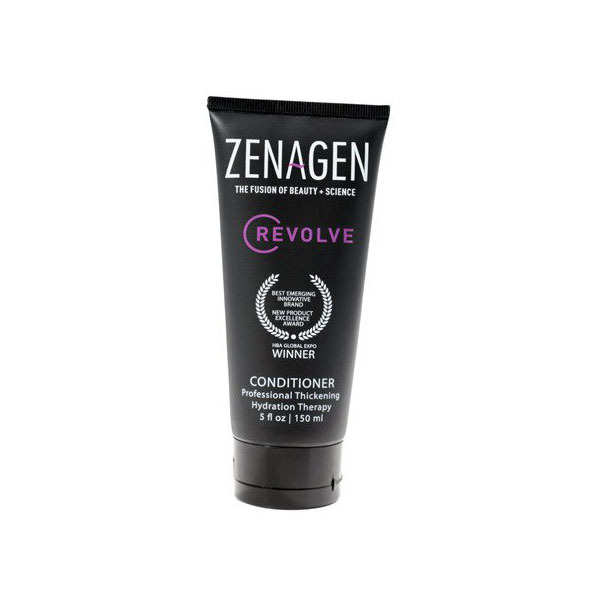 The second step in the Zenagen Revolve system, Zenagen Revolve Conditioner is a unisex product designed to complement the Revolve Treatments for men and women to reduce shedding, increase hair density and volume while maximizing shine and manageability. Conditioning is recommended after each Zenagen Revolve Treatment application. 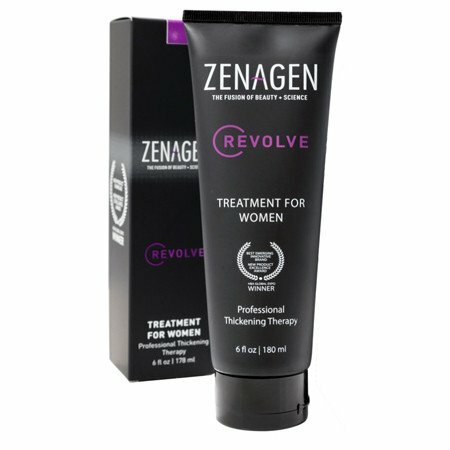 Zenagen Revolve Treatment for Women is a shampoo-based hair therapy system that targets thinning, shedding and female pattern baldness with five-minute treatments every other day. The all-natural formula penetrates all the way to the roots, cleansing the hair follicles and targeting the 5AR mechanism with the end result being thicker fuller hair and hair density. Hello! Welcome to G&C Salon! Sign up to receive the latest deals by entering your email above.